The new daily train is to be operated from Chennai Egmore to Kollam Junction via Madurai, Virudhunagar and Sengottai on chord line, according to official railway documents. 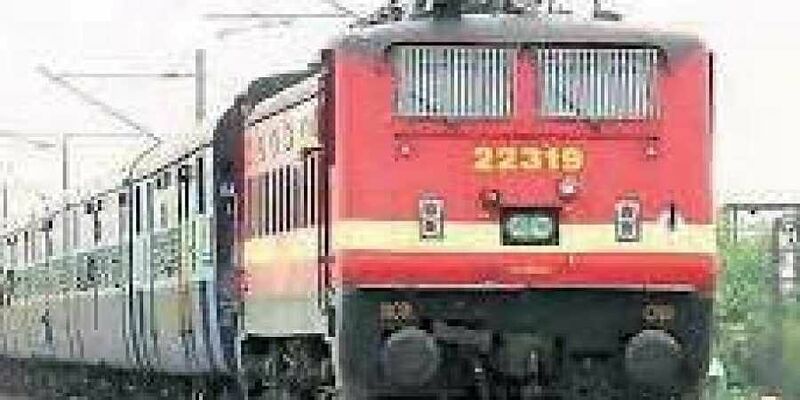 CHENNAI: Nearly 19 years after the withdrawal of the daily train between Chennai and Kollam in metre-gauge line, the regular train service in one of the oldest routes in South India, is set to resume from Monday. The new daily train is to be operated from Chennai Egmore to Kollam Junction via Madurai, Virudhunagar and Sengottai on chord line, according to official railway documents. With this, the Chennai - Sengottai section will have two daily trains and one tri-weekly train. The inaugural special will be flagged from Egmore station at 3.15 pm on Monday and the regular services will commence from the next day. The regular train will leave Chennai Egmore at 5 pm and reach Kollam at 8.45 am on the next day. Similarly, in the return direction, the train will leave Kollam at 11.45 am and reach Egmore at 3.30 am the next day. The Madras - Quilon Mail, which started running in 1904, was one of the oldest trains in Indian Railways.In order to transport spices and condiments including black pepper, cashew, cloves and cardamom from the capital of erstwhile Travencore State, Quilon to Madras, the South Indian Railway Company had opened the Quilon - Sengottai line in 1902. This was the first line in Travencore State. Subsequent to the completion of Madurai - Virudhunagar - Sengottai meter gauge line by the British government, the Quilon - Madras mail was flagged off by Travencore Maharajah Mulam Thirunal Rama Varma in 1904. The train then extended till Thiruvananthapuram in 1918. The Quilon Mail was one of the oldest metre-gauge trains run with first class and air- conditioned coaches. After serving the rail passengers for more than 70 years, the train got short terminated at Kollam in 1979 for gauge conversion works in Kollam - Thiruvananthapuram section. “In 1979, when Thiruvananthapuram division was created, Madurai division officials strongly objected to transfer the Virudhunagar - Kollam section to the former as the Madurai - Kollam section was one of the high revenue generating sections in Southern Railway,” recalled official railway sources. In 1996, during gauge conversion works between Virudhunagar and Madurai, the Quilon Mail was diverted via Virudhunagar and Manamadurai. Later, the service discontinued in 2000 for gauge conversion works. Official sources said the new line would create a third rail route between Chennai and Thiruvananthapuram, reducing the travel time by 100 km. Presently, superfast trains from Chennai Central, reach Thiruvananthapuram via Coimbatore, Kottayam, Chenganur and Kollam, covering 922 km in 16 hours ten minutes. “The travel distance between Chennai and Thiruvananthapuram via Kollam would be 825 km. It will serve as an alternative line of Chennai Egmore - Thiruvananthapuram via Madurai, Tirunelveli and Nagercoil, (795 km),” said official sources.